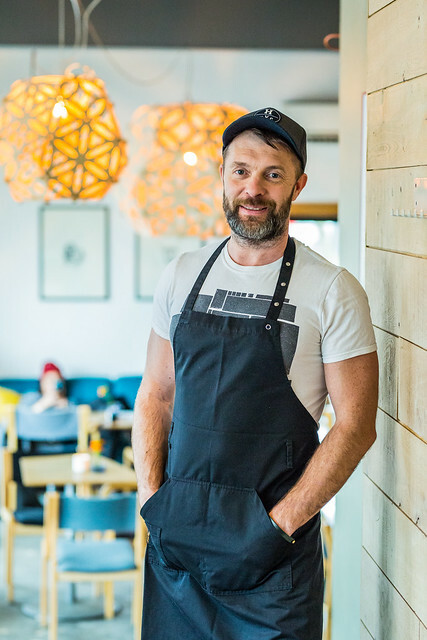 “We hope to offer the festival guests something special, yet simple and homely – just like life on the island,“ says the Chef de Cuisine of TMW pop-up restaurant. I don’t have a favorite. Food, produce, tastes are like music that changes depending on day, stat of mind and position of the stars. Today my favorite is parsley root – I can may both sweet and salty dishes of it. My philosophy is awareness – know who grew and where the produce is from and choose clean food. Pure and natural tastes and interesting combinations are important for creating something good and exciting in the kitchen. What will humans be eating in year 3000? Which artist are you planning to hear during TMW? Kadri Voorand, Progress, Põhja Konn, Tõnu Naissoo Hammond Trio, Three Leg dog. August is not just a gentleman’s given name but also the name of the most pleasant month in a year. 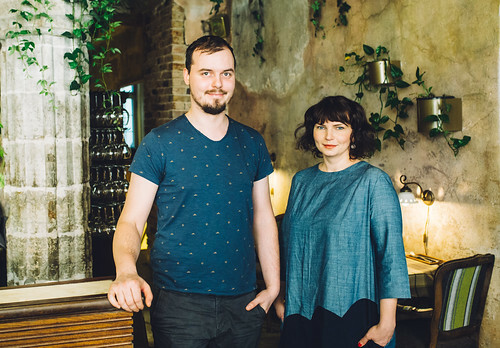 The initial idea behind the coffee shop was to have an all-year summer vibe in Tallinn’s Old Town – with locally roasted coffee, tasty food and hand-picked background music. Salads and herbs. They are fresh and aromatic, yet earthy and bitter. Evoking childhood landscape memories. Food is something that can not be left undone. Way of making food is rather unconventional. Interested in dining as synesthetic experience. Daily something which can be sensed more abstract, that is processed more automatically and is globally standardized. In accord with the physical and chemical needs of the human body. More ethical food taking in consideration the environment and animals. Meat in vitro, if any. Aesthetic food culture could become more rarefied. Focus on primary qualities of raw products. Illegal consuming of animal origin products. 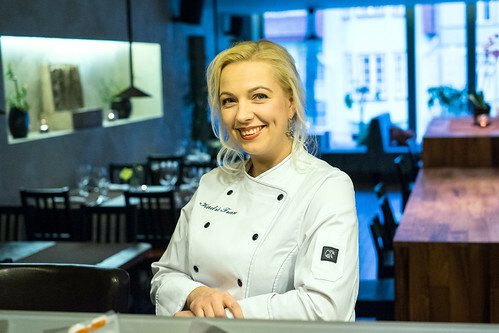 Restaurant Babulja is located on the border of Tallinn’s Old Town, in the historic Hinke tower and the two buildings attached to it. 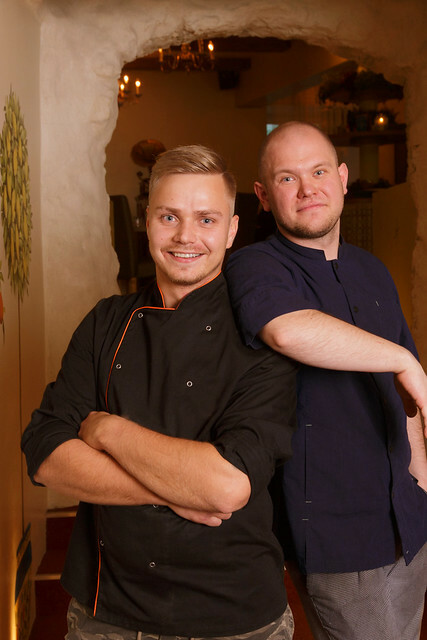 The restaurant offers a delicious Nordic cuisine with Russian soul prepared by the head chefs Martin Ludvig and Robert Piho. 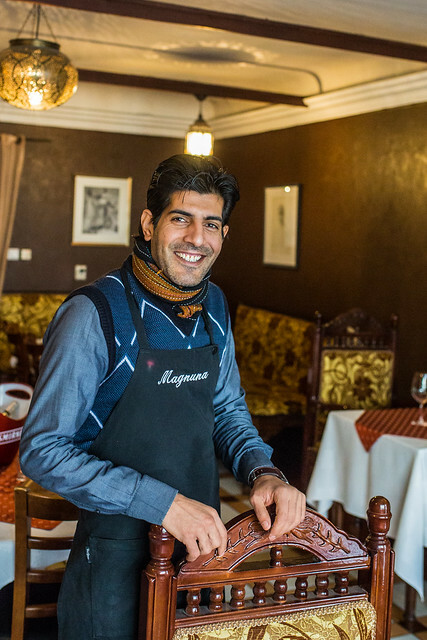 Babulja welcomes its guests with warmth, pleasant service and an unforced atmosphere. There are main courses for vegetarians, as well as for meat and fish lovers and desserts that will melt in your mouth. Babulja is also known for its unique house schnapps’ and liqueurs made on the spot. The café-cocktail bar on the ground floor offers blinis from the traditional Russian cuisine, flavored dumplings and exciting cocktails. Martin: Butter – base of every dish, stabilizer and makes everything more richer! Robert: Egg – because you can play with it in so many different dishes from salty to sweet ones. Martin: Play with it what You have! Robert: Using raw materials without any soul, You wont find it in the dish either! Martin: Hopefully humankind will head back to the root level. Robert: If the humankind will have the change to live on this planet Earth so long, probably tablets. An environment fashioned after old Europe’s espresso bars – small in size but with a long queue for coffee. The quality of the brew is astounding, the service is friendly and relaxed, the atmosphere classical, but modern. And as a magnificent extra – croissants and special cakes straight from the oven that surprise you every day! El Salvador coffee, beans of the right region are divine! Coffee offers pure pleasure to its drinker every single day. I want to offer the joy making a better cup of joe than the last one. Restaurant Bollywood is a melting pot of cultures where the 21st century meets the medieval atmosphere. A prime selection of Indian, Thai and Chinese dishes can be enjoyed in a cosy interior with relaxing music and attentive service. 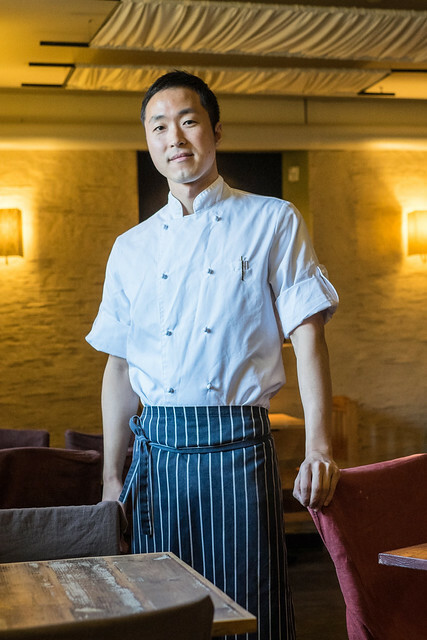 The head chef Swapan Kumar Mitra from India has put together an imaginative menu balancing tradition and innovation by using local seasonal ingredients in a dazzling array of Asian dishes. My favorite produce are local vegetables as they are fresh and delicious! I think that more vegetable-derived food. Bona is more than just a restaurant or a bar. It’s cosy yet stylish, classic yet modern, exciting yet familiar. Famous for its wide variety of unique gin-cocktails, beers and wines for any taste and a food menu with a twist. Just like regular street food, but with new, spicy and Asian touch. The menu offers burgers, falafels, fries, kimchi fries and soup. Black pepper. Keeps the snake away! Kapitan Korsakov and Teksti-tv 666. My idea of rocknroll! Eggs from the local farm. They are fresh, nutritious and versatile. Kaerajaan has a fun design and concept just like its namesake simple and childish Estonian folk dance. 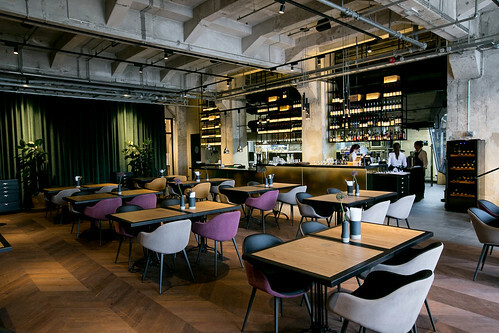 The interior is inspired by Estonian traditional handicraft and complements well the modern Estonian cuisine that combines Estonian and world tastes. There is no specific favourite raw produce but we prefer organically produced flavours. If we have to name preferable food then it would be fish and seafood. Variety, quality raw produce. 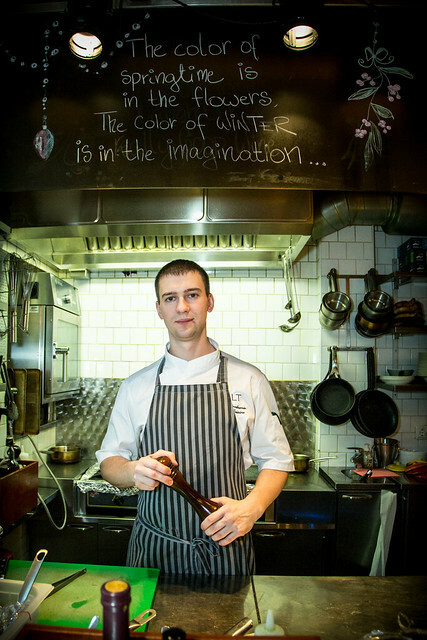 To use local ingredients in our kitchen as much as possible. Klaus is a cosy café-restaurant located exactly where an urban town dweller feels comfortable and relaxed – by the sea. Everything that Estonian nature gives. Favorite produce depends on the season and what I can find from the forest during the time. Early spring offers eatage – oxalis, cowslip, ramson and dock. During midsummer I find chanterelle and wild strawberries and so forth until late autumn when I get the last foxberries and wild mushrooms. First visit Nuustaku (town in southern Estonia, now called Otepää) and only then start looking towards Paris for inspiration. Less is more – foremost find, learn and use high quality local produce. If we’re lucky we’ll move towards agricultural gathering. It’s an optimistic hope! Korsten Armastus ja Hea toit (The Chimney, Love and Good Food) in Tallinn Creative Hub exudes love for tasty food and refreshing beverages.This limestone building used to be the power station’s boiler room and was completed in 1934. The brick chimney was erected in 1948 and was the tallest in the Baltic States at the time, rising to a height of 102.5 metres. Quesadilla – homemade corn tortilla, selection of cheeses, chilli and coriander mayonnaise, pico de gallo, shredded beef, shredded pork carnitas or shredded chicken. 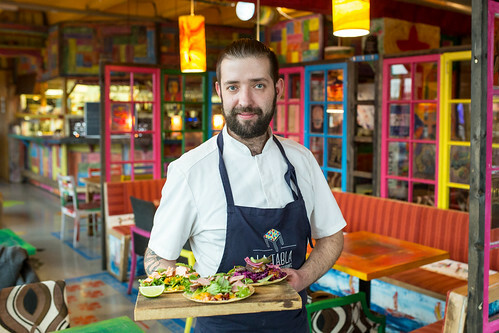 Gourmet taco – handmade corn tortilla with freshly smoked duck fillet, freshly smoked salmon, coconut crusted tiger prawns or slow cooked beef. Served with different salsas and salad. ‘Leib’ means bread in Estonian and there’s a reason these guys have chosen that name. 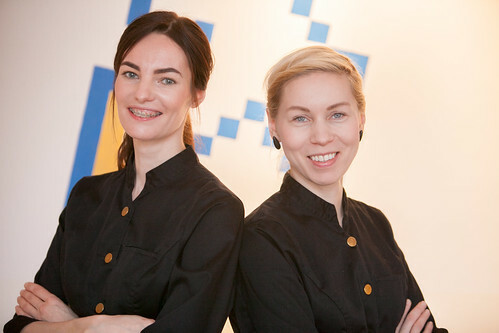 While creating their own restaurant they had a very definite vision of what they wanted to do. This vision was equal to the word „bread“ – the good old Estonian black bread, which reminds Estonians something homemade, fresh, simple and warm. 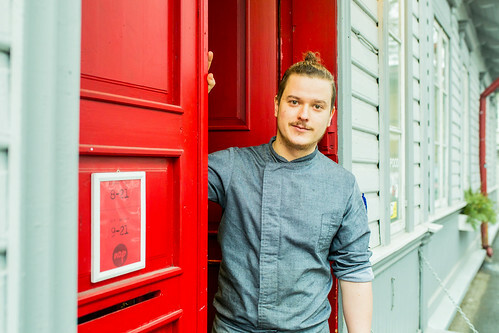 Their goal has always been to create dishes from simple, local, fresh food, but doing it in a modern way. Bread is the soul of any meal. Leib. Soulful, casual dining. For me there is no such thing like favorite raw produce but like I have always said – you can’t make food without butter, salt and love. To respect the raw produce and not ruin it. For everyday consuming there will be packaged food and fresh food will be more exclusive – a luxury. This year I am trying to be more spontaneous and rather listen to artists I have not heard about. I hope to get a great experience and find new favourites. Café Mademoiselle in Solaris shopping mall is the perfect meeting place in the city center. Whether you are just meeting your friends to catch up with a fresh cup of coffee, business lunch or plan to celebrate with bottle of Champagne, Café Mademoiselle has everything you need. A full a la carte menu, a large selection of drinks, incredibly delicious (addictive) coffee and of course Mademoiselle’s known cakes and pastries. I can’t choose only one. You can take a product and do something interesting with that. But I love to work with seafood. Only in Estonia, there’s not much variety among fresh seafood. When I worked in Nice, France, well that was perfect time. You went to market in morning and bought fresh fish and made some amazing dishes out of them. And now I only dream about those fishes in France. Unfortunately I do not believe, that there’ll be somebody eating food in 3000. Simply, I don’t believe, that there’ll be life on Earth at all in year 3000. Music festival is like a restaurant, you want to try everything. I believe, that all artists are good and talented, but Alisa Vox and Coals are calling me at the moment. Welcoming and cosy restaurant that offers Middle-Eastern and North-African food. I use cardamom in almost all my dishes. In addition to adding great flavor, it’s also good for health. 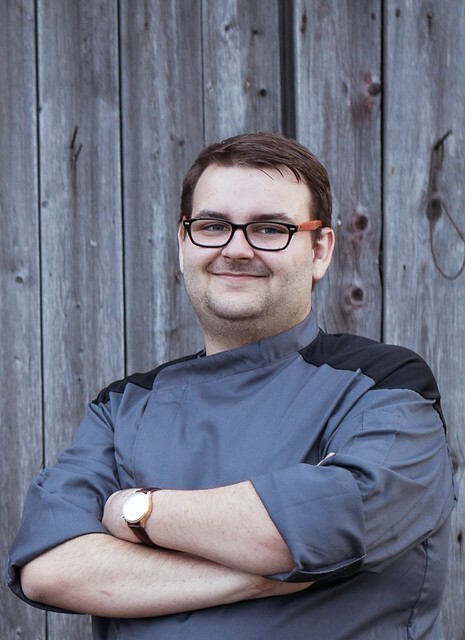 When I started the restaurant, my aim was to bring the flavors I was used to from my childhood to locals, but to do it in an easily accessible and homely way. So, all the dishes we serve are dishes that my mother used to cook or that are inspired by them. I’m convinced that human diet will be mostly plant-based and vegetarian. I don’t think people will eat much meat. I’m planning to spend most of the time cooking for festival customers, but if I have the time, I’m sure I’ll find plenty to enjoy. 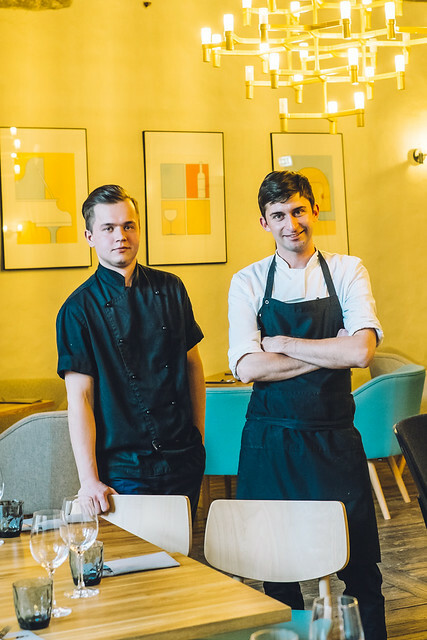 On Suur-Karja street, with a view on Old Town’s historic buildings and cobblestoned streets is one of the most highly valued restaurants in Estonia MEKK. 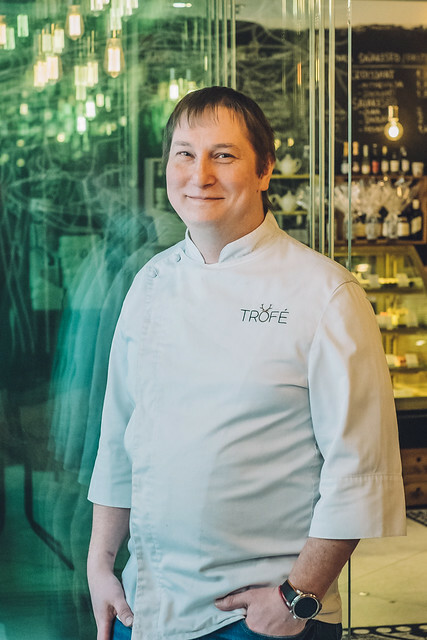 The name means Modern Estonian Cuisine. Domestic white fish, pike-perch, whitefish, pike, Baltic herring, perch, plaice etc. Everything what is related with sea or water. Food has to be real! The presumption is proper ingredient, commitment, clear and pure flavours, honest food. Everyday driving to be more masterful. The most important thing is the flavour. 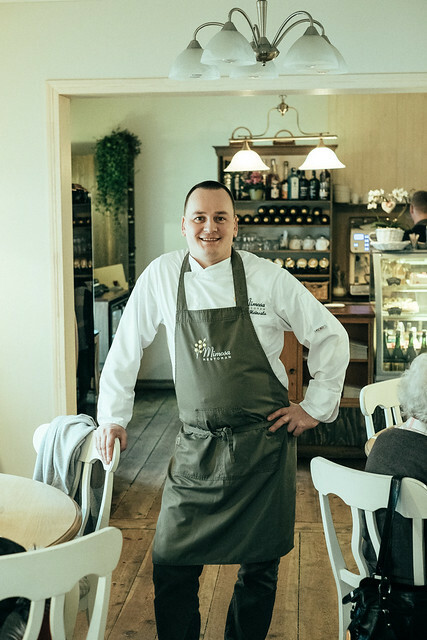 A cozy restaurant in Tallinn’s “forest district” Nõmme where you can enjoy memorable dishes and a relaxed atmosphere. In the summertime a terrace and a large garden are open for dining, where you can enjoy spending time in greenery without leaving the city. In every year people will eat more and more different vegetables. Maybe in 3000 vegetables are the most used food at all. The Monaco restaurant and its enticing menu await you on the first floor of the Nordic Hotel Forum. It is an ideal place to relax and unwind right in the heart of the city. 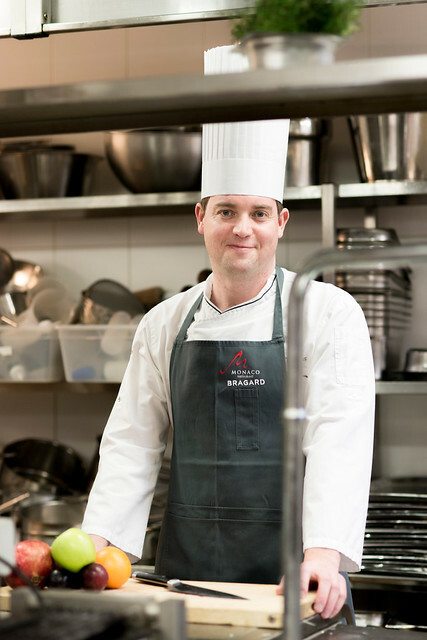 Friendly chefs and level of service will surprise you, whether you’re looking for an invigorating breakfast, a tasty business lunch, a gourmet dinner or simply a fine glass of wine. The style is modern fusion – in other words, a fresh take on classical and international dishes. 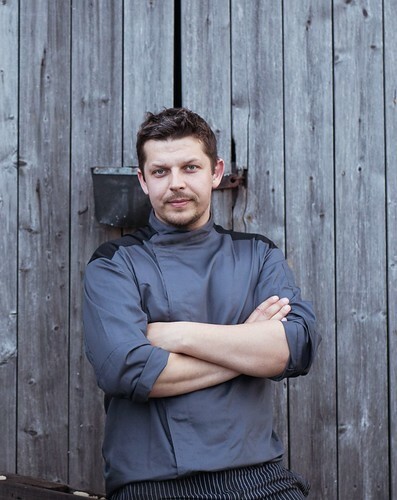 At the moment, my favorite ingredient is fresh pike-perch caught from Lake Peipus. I myself am a passionate fisherman and I know that this fish has quite an attitude, and in contrast to catching many other kinds of fish, catching pike-perch requires a lot of knowledge and skill. Real fishermen consider pike-perch to be one of the best fish to fry – its meat is white, and it has relatively few bones, and even those can be easily removed. In my kitchen, I always use ingredients that are fresh and as local as possible. I hope that in the year 3000, people will still be able to catch and enjoy pike-perch from Lake Peipus. Scientifically speaking, all the prerequisites are fortunately there ‒ pike-perch like warmth, and their population numbers depend greatly on water temperature. As it’s predicted that the climate will get warmer, at least the pike-perch’s prospects are good! As we’re always very busy at the restaurant during Tallinn Music Week, I probably won’t make it to any of the concerts again, unfortunately. 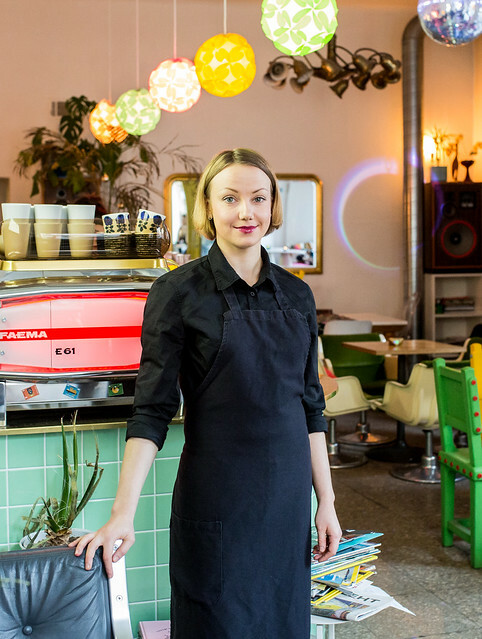 But because there are lots of Tallinn Music Week fans on our hotel staff, they’re always happy to share their concert experiences and music recommendations. 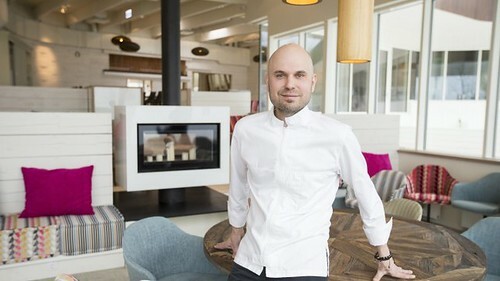 In the Spring of 2014 opened NOA is a seaside restaurant on the border of Tallinn and Viimsi, seating 80 guests, plus more 100 seats on the terrace.The NOA dining room has been built on three different levels allowing every guest in a addition to the taste sensation also have stunning view of the Old Town silhouette across the bay. To use complicated produce, but at the same time healthy and seasonal ones. A a cafe and a shop that got its name about 8 years ago, when Tallinn lacked a Neighborhood Organic Place. A neighborhood place, where locals meet, many friends are made and good time is spent, where everybody feels welcome, being that a young family, somebody with a pet or somebody who just came from a nice stroll from Kadriorg Park that is so close by. Organic means that the best local and organic, where possible (or at least from small producers), produce is used for making everyday breakfast, lunch, dinner, and also sold in a little shop that resides in the same place with the cafe. Salt and sugar, it’s impossible to prepare anything without them. These are little helping tools that help to polish the taste. First you need to be in a good mood, because the emotions you carry will be transfered into dishes you’re making and will affect the result. The second important factor is time: precision and patience – if you’re in a hurry or even forget something entirely, the dish definitely won’t come out as good as when cooking in full confidence and cheerfulness. In year 3000 people will be eating the same dishes, definitely there will be more vegans and insects will be eaten because of the enormous growth of meat industry. If I will have time then 615, Azma, Iiris Vesik, Paul Oja and definitely some alternative rock and indie band – I saw a lot of good names. 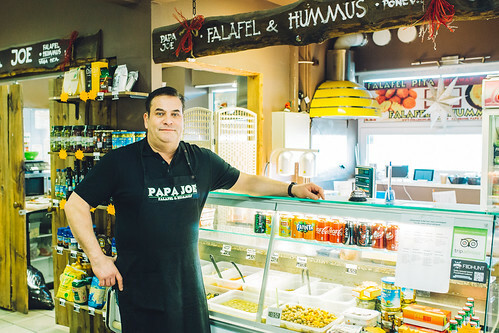 Papa Joe Falafel & Hummus offers fresh and hand made falafel, hummus and baba ganoush. Falafels are made on the spot and guests are welcome to try lebanese specialities while waiting. Garlic, because of the many benefits. Our food philosophy is to serve you the freshest available. Food is about life and sharing! Hopefully also falafel and hummus as both are made from chickpeas and they were found in the late Neolithic era (about 3500 BCE) almost 6000 years ago, so why not another 1000 years? Falafel and hummus have been speculated to date back to Pharaonic Egypt. 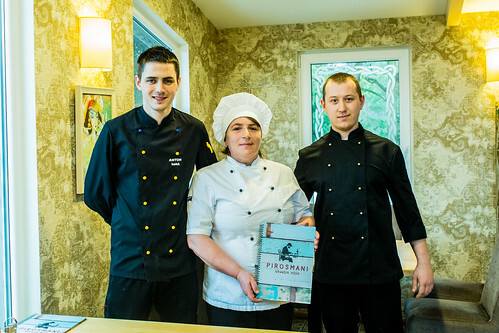 Pirosmani restaurant is located in a picturesque area where the ferro-concrete rhythm of the city is replaced by harmonious chords of natural sounds. Woodpeckers nest nearby, and some of our visitors are especially lucky to enjoy a dinner or supper while listening to the sounds of nature. Georgian cuisine is one of the most exciting cuisines in the world. It is a gastronomic symphony where each component plays its part. Add to it the traditional Georgian hospitality, home-like atmosphere of the restaurant, and there you have it – the recipe of magnificent mood with tasty and healthy food. The only way to eat is with kind thoughts! Nuts, wine and pomegranate – the products are used in early Georgian dishes and are the most characteristic to the cuisine. Both challenge and philosophy – to use spices during a period when vegetables and spices are not available. Spices elaborate and make the dishes come alive! Renard Coffee Shop is situated in the rooms of 150 years old limestone building that was used until recently as a repair house for railway wagons.Repairing and restoring are still a vital part of the cafe’s everyday life as custom cafe racers, Renard design motorbikes and very old motorcycles are built and restored next door.Craftsmanship is also honored on the second floor of the building by old school barber shop, jewellery studio, skateboard shop and a record store. 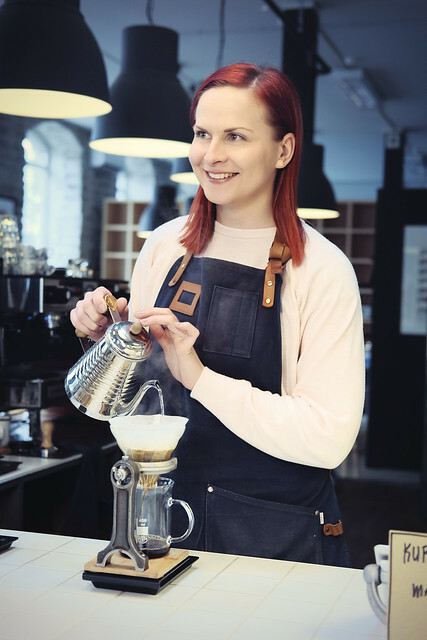 Renard Coffee Shop itself is specialized in serving the best coffee selection in Tallinn brought from the small but skilled Nordic roasters. I am one of those few people lucky enough to work with my favourite produce every day. Because I work in a coffee shop, it is natural that a high quality and good coffee is my favourite product. There are endless choices of coffee that I would say are my favourite, but it always depends on the season and also the roast profile. Every roaster has their own signature and therefore coffee from the same crop and region can taste quite different if roasted by different people using a variety of roasting profiles. It is the nuances in coffee that really make life interesting! For me, coffee helps creating bonds between friends and loved ones or even with oneself. I remember well my first contact with coffee – I was just a little girl in my grandmother’s kitchen. I recollect her as a hard-working woman, who would constantly keep herself busy. However, when it was time for coffee, she would always take a break. I never saw her drink coffee and not fully commit to it, usually she would sit behind a table, drink the hot brew and talk to me about the world, culture or our family history. This is a very complicated question. Scientists have already said that about 100 years from now coffee will be extinct, as will many other species. Who knows, maybe we will be drinking artificial coffee that will give us the same effect. Or perhaps we will not drink it but eat it in the distant future? Or maybe people will finally realise that nature is our most cherished resource and will figure out a way to save coffee from extinction. I plan to see a lot! I will try to be as spontaneous as possible and see bands that I have never heard of before. I think that would be an exciting way to experience new music. Espresso – Bourbon and Caturra variety from Antigua Guatemala, roasted in Oslo at Talor&Jørgen roastery. Full-bodied, milk chocolate and marzipan taste. Filter coffee (V60/Chemex) – Longberry coffee bean from La Linda farm in Caranavi Bolivia. Roasted at Drop Coffee in Stockholm. Notes of sweet apricot, ripe cherry and plum. Cold Brew – SL28 variety from Ernesto Menéndez farm in Santa Ana El Salvador. Roasted at Drop Coffee. Taste reminds you of honey and sweet cloudberry. Enjoy it chilled with ice or as a cocktail. Deserves a try – our chocolate cherry cake “My Cherry Amour”. Pairs great with hand brewed V60 coffee or with a chilled Cold Brew cocktail. 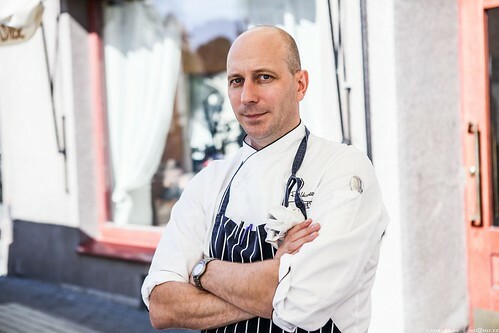 Restaurant JUUR bows at Nordic cuisine concept where we appreciate the greatness of organic local ingredients at artistic setting on a handmade plate. 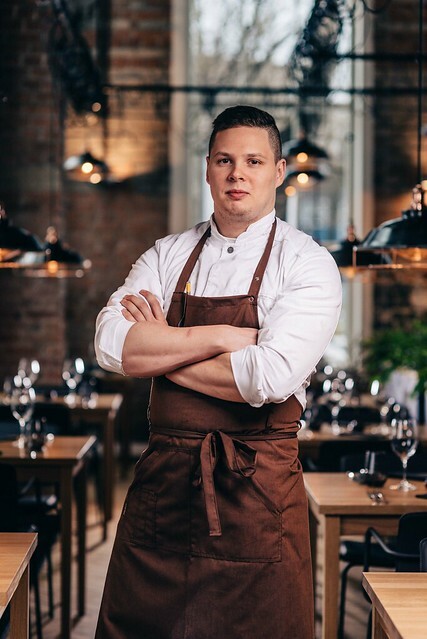 Restaurant JUUR chef Kaido Metsa is the Chef of Estonia 2016, 2nd place, who worships our ancestors religion for molecular gastronomy in a contemporary way by following and enhancing the original tastes of every herb and root. Restaurant JUUR goes back in time to waken our sleeping senses in food, beverages and coffee art. I like the produce that is not widely known and used from Estonian forests and Northern region. I love speciality. I believe we have many so-called hidden truffles. Also, I believe in the appeal of Estonian produce. 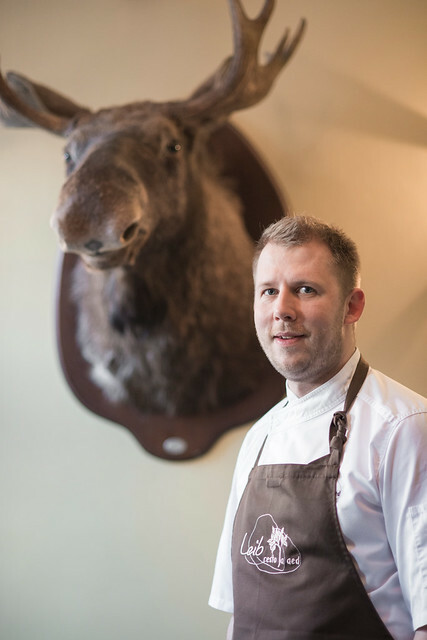 My philosophy is Estonian and New Nordic cuisine. I’m spiritually linked to understanding to why we eat at all. Honor the produce! Wisely and only what is truly beneficial. Hopefully it won’t be in the size of pill. Perhaps we’ll get the nutrition through plants’ vibrations. 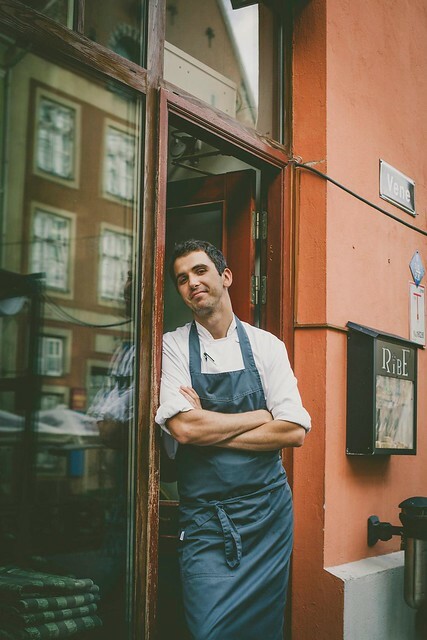 As a result of the ideas and the work of three waiters, restaurant Ribe opened its doors in 2007. Their ambition is to offer guests high quality food and service in a pleasant environment, in surroundings in which we are confident. The menu of Ribe is characterized by fresh, seasonal and definitely domestic raw produce. Naturally, they also add the tastes and techniques of European cuisines. Good vegetables. They are hard to come by and taste just as amazing as meat when treated correctly. Good products taste good! I don’t mess around with good stuff too much. Someone new I haven’t heard before. Riis is cosy Asian food restaurant. Carefully selected fresh produce is compiled into delicious Thai and Vietnam dishes by chef de cuisine Kadri Tran. Only in Riis you’ll be able to taste the authentic rice! This year my focus is mainly on the street food. Good food makes people happy. A small part of your day gets filled with great pleasure while you taste something that puts a smile on your face and brings joy to your senses. The greatness of street food is in its simplicity. 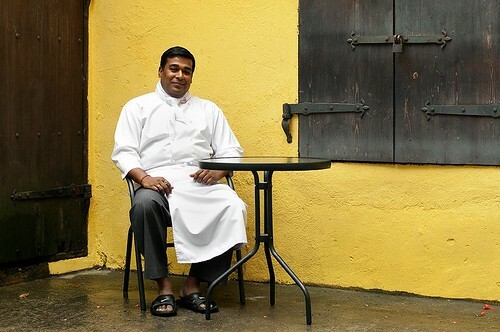 I have travelled in different countries where street food has a very important role in people’s lives. And during that I have discovered the truth. The actual truth is in the little details. It lies in the simple and authentic ingredients, in the picturesque mornings, in the endless bustle on Asian streets that makes you wonder if they ever do anything else but eat? It is the streets, where you truly understand the nature of the county’s cuisine. Food is my passion and with passion you can only do what you really love. I am no stranger to late evening hours or even early mornings and during these hours my chef’s lifestyle has brought me to close contact with the local culture, finding myself wondering through the streets looking for something real to taste. Real food, real life, real moment! The moment when you feel like in heaven with your stomach and mind filled with ultimate pleasure. And now I am more than happy to share these moments and tastes with you. Great ingredients, simple and fresh tastes and the truth that i just love my job as a chef. Probably most of the people will be vegetarians. 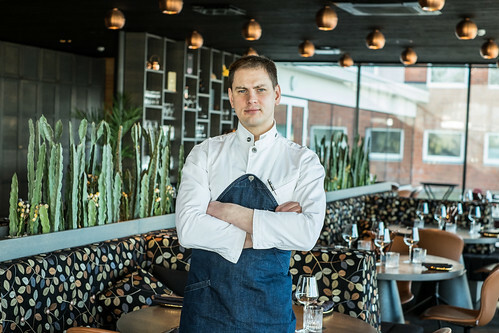 Restaurant Salt is situated close to the city center in Kadriorg. At Salt we offer great food and wine in a comfortable atmosphere. Our menu features classic dishes across the world which are made using the freshest ingredients from local markets and other European countries. When selecting our produce we always pay attention to quality and the time of the year.Salt can seat up to 30 people for lunch and dinner and everybody has a chance to see how their food is being prepared in the open kitchen. Restaurant should be paradise of culinary creativity. Genuine Japanese cuisine right in Tallinn’s city centre. The restaurant offers widely known sushi as well as other exciting Japanese dishes. Our great gastronomic masterpiece is ramen – a popular Japanese noodle soup. 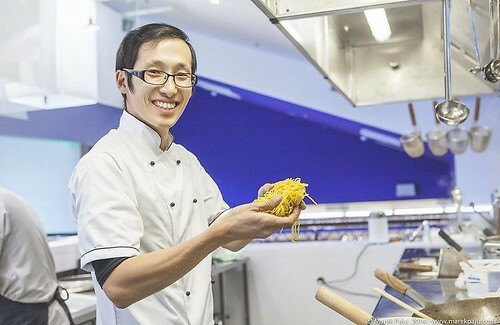 We prepare our noodles fresh, just as we cook the broth, following the traditional family recipes of the Tokumaru’s Japanese chef Daigo Takagi. Tokumaru is a groovy place for both a relaxing lunch break and a more formal business lunch. Both cinema goers as well as shoppers enjoy stopping by. For a soothing ambience in the evening one could go for a table for two, or spend their time joyfully at the large table. Miso. It is healthy, tasty, and also vegan. Suitable for making soups, marinades, sauces. Nice with meat but also fish. Love it! Fresh and high quality ingredients + some love makes magic. I think that in a year 3000 you can home order fresh pizza straight from Napoli. I would love to see an Estonian artist NOËP live finally. Otherwise I’ll let TMW surprise me. 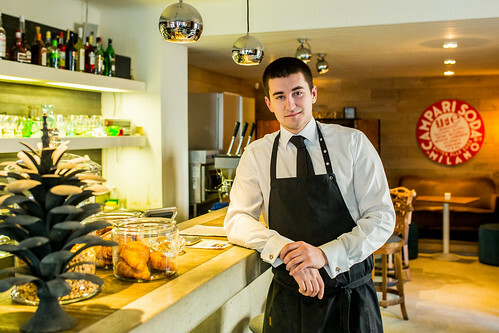 In the summer of 2015 the legendary Tuljak reopened its doors. The restored building originates from the 60s and is by now under the protection as cultural heritage. Tuljak’s spacious rooms accommodate up to 150 guests, in addition to the large terraces and grill area, where you can place up to 150 friends during summertime. The heart of the house is the kitchen of large capacity, offering both new and old flavours with a touch of newness and sweet nostalgia. My favorite is an egg – it ties together almost everything and is an important component in many great dishes. Besides local small producers, I am really keen and inspired by all Asian and Latin American influence at the moment. Our passion is colorful food made of high-quality, fresh and seasonal raw materials. Food matters, not snobbing around. We offer honest and simple, yet tasteful dishes. I believe and hope that in the future people will make more healthy and sustainable decisions, comparing to today, but only god knows what will really happen. TMW is always full of interesting events and artists. I am kind of an omnivorous when it comes to music, so usually I tend to decide depending on my current mood. Vegan Restaurant V is a small and cosy vegan restaurant in Tallinn Old Town, offering different foods from around the world. All the food served is 100% vegan, it means everything is dairy, egg and meat free. Tofu, cashew and chickpeas. I love the ingredients because they can be great basis for a lof of differend foods from desserts to salty foods. Its also easy to create different textures from those foods. I still discover and learn new recepies where to use these ingredients. To offer people good quality vegan food. To surprise people with what can be made only out of plants. 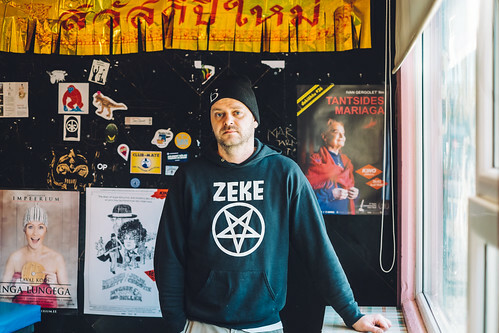 Estoner, Eeter, Freakangel, INDREK SPUNGIN, Kapitan Korsakov, Liblikas, Mick Pedaja, Shortparis, ST CHEATERSBURG ja Three Leg Dog. 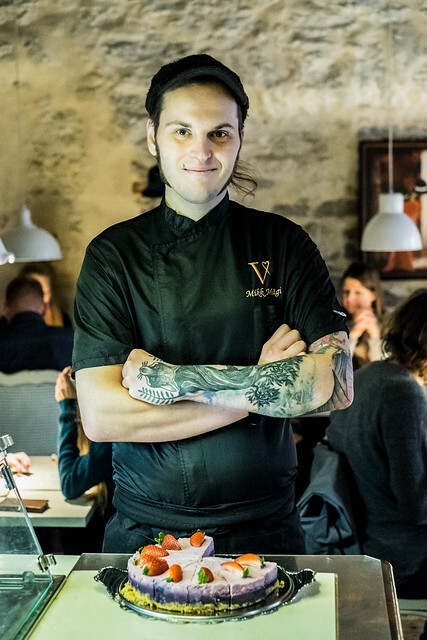 Everyone is welcome at Von Krahl Aed: vegans and omnivores, paleo-enthusiasts and wine lovers, monks and sybarites. Our menu allows you to stay true to your eating habits while gathering round a common table in a romantic setting. We prefer Nordic freshness and the pure taste of the ingredients. We prefer local. We prefer organic. We prefer balanced food. Welcome to the Embassy of Pure Food! There is a whole galaxy of favourite flavours which alter and are added according to the season: the bittersweetness of parsnip, sugary beetroot, the sour and vitamin rich spruce tip, as well as crispy winter radish, royal toned cabbage and ivory skinned Jerusalem artichokes. The first exhalation of the grass-bladed and strong wild garlic. There is no certain one, but if perhaps, raspberries – these are my love. And also ruffe with its spotted coat. I’d rather say that the right moment and a mouthful of good different tastes is what becomes a favourite. It all comes down to you have to take care of what you love. I’ve brought onions from lake Peipsi for almost ten years now, because I love onions so much as well as the culture there. By taking this little trip I help to preserve the area. It’s very fashionable right now to talk about keeping to the season and organic food, but why make such big words when it’s elementary. As a bitter (taste loving) person I tend to think that humans, as we know, will not exist in the year 3000. If we do not very rapidly and decisively change our over consuming behavior, then we won’t exist even in a few hundred years. And even that’s probably too optimistic. A few hundred years from now, if not before, we will have large-scaled protein rich bug farms and parsnip will have become a real and rare delicacy! I have to hope that someone will drag me along. I especially like City Stage concerts, which are casual and great to attend with a child. 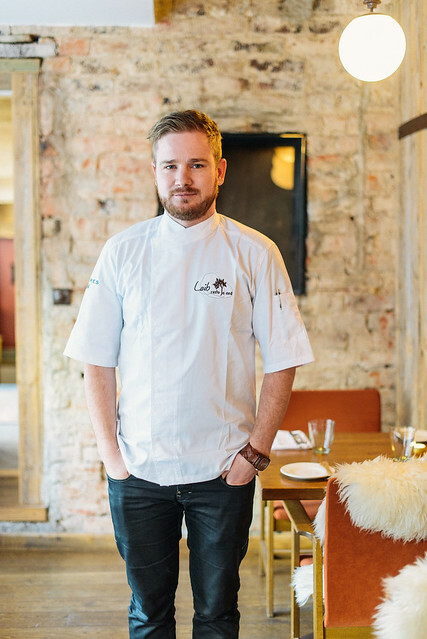 Estonian cuisine – traditional, grand, homely food. Dishes are prepared from recipes that are inherited from previous generations. Just like at grandma’s place. Meat, as it gives you a variation of techniques to prepare the raw produce. It’s quite simple – I have to like the food. But usually, I go two ways – first, to the garden and then towards street food. Hard to say, but I guess it has nothing in common with today’s food culture. I haven’t had time to go through the lineup yet, but since I like electronic music, I’m sure I’ll find something from that sphere. A favorite meeting point since 1937. Wabadus is a cozy yet elegant place for enjoying a nice meal or relaxing with friends over a cup of coffee. It is situated in the heart of Tallinn, right on the Freedom Square. In the same premises as its first predecessor cafe Kultas. Our menu is a mixture of European and global tastes, offering both experience and old favorites. My preference is different types of meat, because one can easily prepare delicious dishes out of it. Simplicity is the key to every dish. I wishfully believe that humans will be eating as healthily as possible and looking which way the trends are going, it can easily be that we will be eating insects because of their nutritional value. Being a aficionado of rap and bass, I would love to make it to MHKL and Metsakutsu shows.